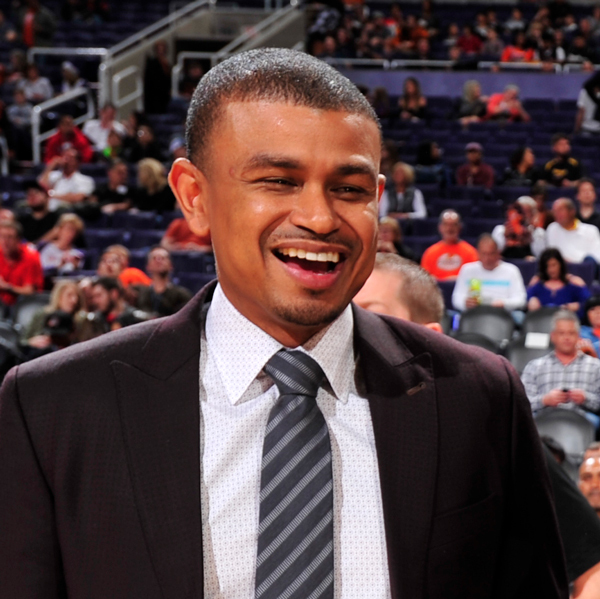 Watson joined the Suns as an assistant coach in the summer of 2015, after a 13-year career as an NBA point guard that included stops in Seattle, Utah and Portland. Yet, he says Wooden rarely talked about basketball, instead sharing stories about love, relationships and character. That was especially appealing to Watson. Watson’s mother is Mexican-American and his grandparents are from Mexico. He is the NBA’s first Hispanic head coach. The 37-year-old attributes his unique coaching style to his family’s culture. Veteran shooting guard Leandro Barbosa says Watson’s approach is similar to what he has experienced in Brazil, where he grew up. “I think the family thing that he’s bringing in is really important,” Barbosa says. “If we want that playoff goal, chemistry is very important on and off the court.